Building an effective website is a big step for any business. You need to make sure that it looks great, performs consistently and is simple enough for visitors of all ages to use. This is true for local firms and global corporations alike, so the agency you work with should understand these requirements and have the proven skills to meet them. For businesses that need market-leading, head-turning web design, Solihull agency KIJO is the perfect choice. We can build you a modern, versatile site that reflects your brand and promotes your services in the local area, and to the wider world. As the top web design company Solihull has to offer, we can develop and maintain a new site, or overhaul an existing site to boost its search rank and lower bounce rates. Our in-house team has lots of experience working with clients across all industries. We can manage your SEO, deliver head-turning graphic design to enhance your logo, create marketing campaigns for your social media accounts and much more besides. No matter what you want to achieve with your website, we’ll be able to back you up every step of the way. You might assume that if your business is fuelled by the local community, the best way to market yourself and gain new customers is with a real-world campaign. But the vast majority of your customers will be avid internet users. This makes our Solihull web design services an essential investment. We work with the best platforms around, optimising everything to ensure your online visibility is unmatched. It’s not just our work as a web design agency in Solihull that local businesses have come to appreciate; we also offer a number of other services. If your branding is a little lacklustre and needs some attention, we can give it the polish it needs to shine. If your website is missing quality content, we can deliver copy that sizzles and sparks, graphic design that amazes and videos that will wow visitors. There has never been a better time to change the fortunes of your business with a professional website design company; Solihull is a competitive marketplace and KIJO mixes local knowledge with world-class web development expertise. We are an agency with a passion for the area and the skills to benefit local organisations seeking digital dominance. KIJO is the top web design agency Solihull has to offer, and you don’t have to take our word for it. We’ve forged firm relationships with a number of local businesses, providing exceptional sites and hosting services to help them engage with customers. Our collaboration with Hogarths Hotel is a great example of this. They had a website, but it was in need of a makeover to meet the expectations of their web-savvy guests. We got to work and forged a brand new site which looks great, performs flawlessly across all devices and is easy for staff to manage as well. We drew inspiration from the colour schemes used throughout the hotel itself. With our expert website design, Solihull businesses can stand out in the same way. Hogarths also needed a site that works seamlessly on mobile devices as well as desktop computers. We built it one which allows visitors to browse and make bookings on the move. Another happy KIJO client is Park-IT, which was undergoing a transformation and requested a brand update and website refresh to promote its new direction. We felt that its site needed to be boosted with bold colours and strong imagery to gain traction in the competitive Software-as-a-Service (SaaS) market. We delivered a comprehensive package which has helped the firm to flourish in Solihull and to expand its operations nationally. We also made the site more engaging with animated illustrations. These act as an attention-grabbing explanation of the parking services that the firm offers. If a picture paints a thousand words, then an animation on a website is even more impactful. We can add similar elements to your own project, allowing you to impress customers in an instant and make sure they understand what makes your business so brilliant. When it comes to web design, up and coming Solihull retailer The Little Village Shop was in need of our assistance. We delivered a site that reflects the home grown, authentic feel of its brand, with high quality images of the produce, vintage typography and a distinctive aesthetic which matches that of its bricks and mortar store. It’s quite different from the Park-IT project, but just as effective in engaging with the firm’s target demographic. The Little Village Shop site proves that even a business which is closely linked to the local community can benefit from a boundary-pushing website. KIJO’s creation is a breath of fresh air in a world of bland replicas. The site has helped Solihull residents to find out about the top quality produce and unique atmosphere of the shop, raising its profile in the local area. To avoid a long search for a web designer, Solihull businesses of all kinds can rely on us for flexible, competitive services. We think our work speaks for itself, so check out the sites we’ve developed and see why our clients trust us to turn out truly special designs. When it comes to website hosting, Solihull businesses might not be well versed in the technical side of keeping a site up and running. This can be a major obstacle to launching a site in the first place, or dissuade you from updating an existing site which is running on outdated hardware. The good news is that there’s no need to let confusion around web hosting get in the way of your online ambitions. KIJO can provide advice and guidance on how to host your site. With our cloud hosting, Solihull businesses can make their site reliable and resilient. Our basic cloud hosting comes with support for a simple site, which will be monitored 24/7 and backed up on a daily basis. We also offer comprehensive cloud packages for clients with multiple sites and specific needs that have to be met. Whatever the size of your digital empire, cloud hosting is the most cost-effective and flexible option. It is worth remembering that no other website designer Solihull has to offer will be as in tune with the world of hosting as our team. We can work with a number of global cloud platforms, including Microsoft Azure and AWS, to ensure your site has unshakable foundations. If you have any questions about hosting, or concerns about migrating your site to the cloud, we can talk you through everything when you get in touch. This is just one of the many perks of partnering with KIJO, a Solihull website designer like no other. Industry recognition is an important thing for any website company in Solihull to achieve. At KIJO we have earned praise from a number of outlets and organisations. This includes securing a nomination in the Drum Design Awards 2017 for our work with client Crucial Trading. Competing against some of the biggest names in the world of web design is an impressive feat for a local agency like ours, which is why we’re proud of this accomplishment. If you want to take advantage of exceptional web design services, we’ve got the talent and the track record that you should be looking for in an agency. Of course award recognition isn’t everything, but it is a great indicator of the quality we offer. With our great web design, Solihull businesses can maximise their potential. You can find KIJO on the Recommended Agency Register (RAR) which is also operated by the Drum. Our status as a RAR Recommended web design agency gives our clients peace of mind and demonstrates that our services are competitive on a national level. It’s not just that no other web design company Solihull has to offer can match us for quality; we’re amongst the best in the country at what we do. When looking for web design, Solihull businesses can take advantage of the platform-specific skills that we bring to the table. KIJO is a Google Partner, as well as being a certified developer for both Android and Apple devices. If you want to have total confidence in your Solihull website designer, we are your best option every time. There is no fixed answer when it comes to the price of our Solihull web design packages. 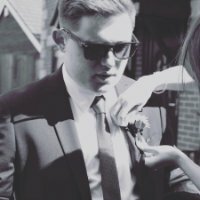 Each client is unique and there will be different costs to consider depending on what features you need and how many pages you want us to create. A simple upgrade of your current site will be more straightforward and affordable than building a brand new site in most cases. The best option is to contact us, outline your project and get a quote. How long does it take a web design agency to build a website from scratch? When choosing a web designer, Solihull businesses should be sceptical of anyone who promises a timeframe for completing a project before finding out the specific details. By working with KIJO, you can be sure that we will take every care to consider all of the factors before making any promises or setting deadlines. We will work as quickly as we can to build your site, but remember that the bigger and more complex it is, the longer it will take to design and launch. What is the easiest platform to update? We know that many clients want to be able to control their site directly, even if they contact KIJO for design and hosting services. And when it comes to ease of use and versatility, WordPress is definitely the best platform on the market. We advise our clients to invest in a WordPress site, as this streamlines the development process and also allows for adjustments to be made in the future. Do you adapt templates or create bespoke websites? We can take an existing template and give it our own unique twist if you already have one in mind. We can also start with a blank slate and a few design prompts to rustle up a site that is unlike anything else around. With the beautiful, bespoke website design Solihull businesses can access through KIJO, the options are unlimited. Can you edit WordPress themes? Because WordPress is our preferred platform for site building, we are well versed in editing popular themes to suit clients’ needs. It doesn’t matter if the theme is a tried and tested option or a hot new arrival; we can work our magic and adapt it in whatever way you wish. Just let us know what you need and we can produce results that will make your business stand out. We believe in giving our clients plenty of choice throughout the development process and beyond, unlike some web design agencies in Solihull. You can add any content to your site in-house if you wish, or get in touch with us and take advantage of our skilled copywriting specialists. Whichever path you take, we’ll support you every step of the way. If your aims change further down the line, we can adjust our content strategy so that it is in sync with what you want to achieve. Do you possess any images we can use for the new website? Many of our clients supply images for their website which we can use during the design process. If you need some new snaps, we can provide a professional photographer to capture your business in the best possible light. Alternatively we can use popular stock photo sites to source images, then edit them to fit with your brand identity. Don’t worry if you need a bespoke site built from scratch, images and all, because we provide holistic web development Solihull clients love. Have you built this type of website before? At KIJO we have designed websites for businesses of all shapes and sizes, from software companies to retailers and beyond. Our years of experience in the industry puts us in the perfect position to develop mind-blowing sites for all our clients, whatever industry they occupy or niche they want to target. Local businesses in Solihull are particularly diverse, and we have assisted many to make the transition to a sharp, professional online presence. Join forces with us and witness the best website development Solihull has to offer. If you need a Solihull web design agency with an eye for originality, KIJO will deliver the goods. We have worked with some of the best local businesses to help them boost their online presence and gain traction. We can do the same for you, and our experienced designers can tackle any project with panache. So stop allowing your competitors to squeeze you out of the marketplace. Get in touch with KIJO today and see why when it comes to brilliant, game-changing web design, Solihull has no better option for ambitious businesses.